Platform pump heels have been hotter than summer of late. These shoes are surprisingly versatile as they can exude both a polished hipster look. 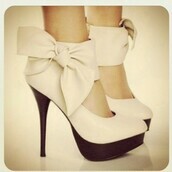 They are feminine, fun and cute when worn with something short or short enough to expose the ankles. They come in a wide range of colours; black and white, gold, leopard print, paint spatter, round toe, patent leather etc. 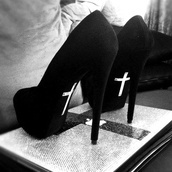 Black platform pumps with black spikes work nicely for the grunge image, creating an original and edgy look. They are comfortable and good for walking long distances with many a tumblr board dedicated to them.